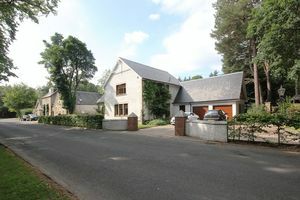 What a setting, at the other end of Newpark Road is the heart of the village which has a excellent primary school and a small village pub. 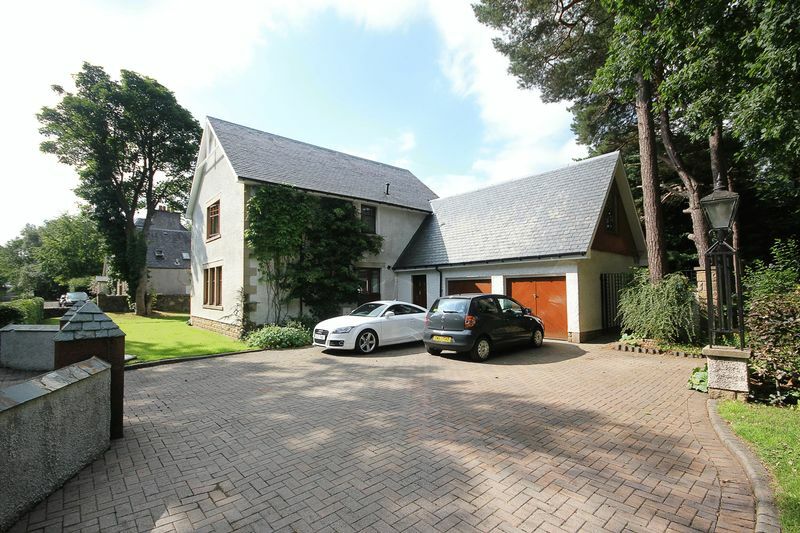 Yet you are only a short 5 minute car journey to the massive Livingston Shopping Centre or the Livingston South train station with access to Edinburgh or Glasgow. 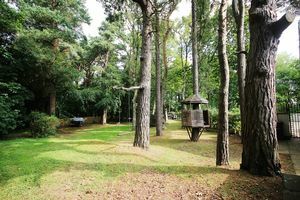 The gardens are a child's dream with woods to explore and plenty of space for adults to relax. 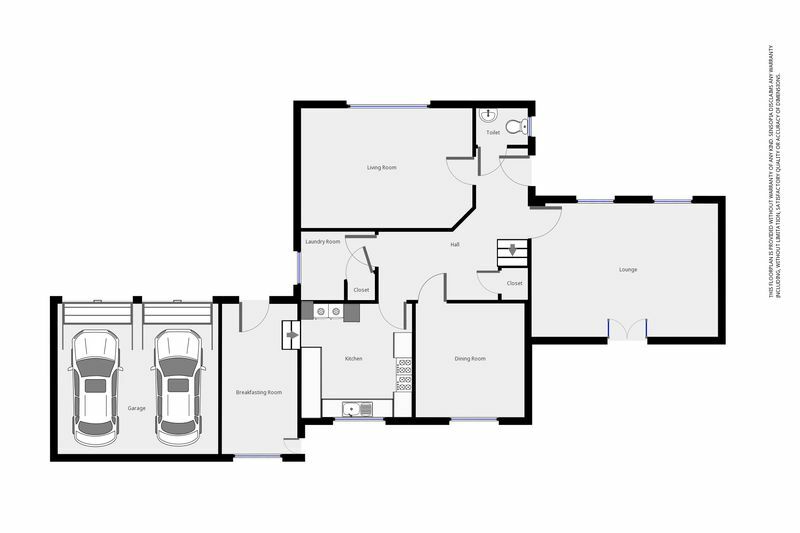 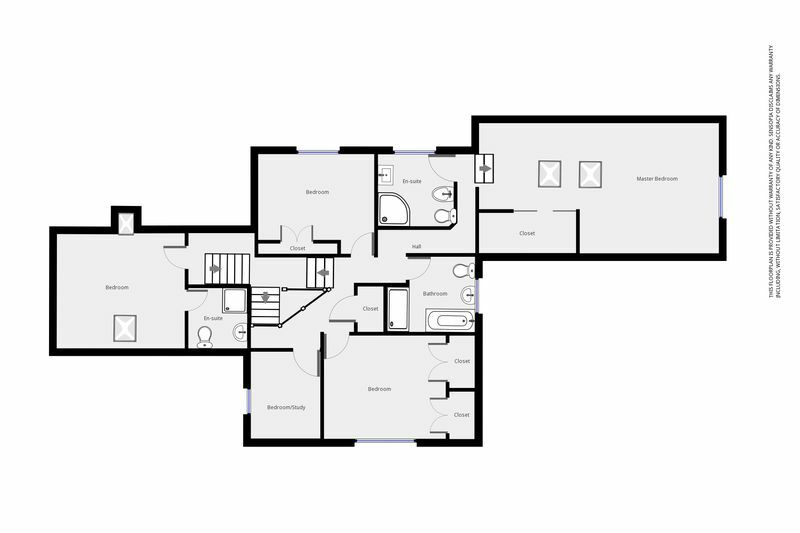 Comprising of hall, formal lounge, living room, dining room, kitchen with breakfasting room, utility room, wc, 5 bedrooms, 2 with en-suites and family shower room. 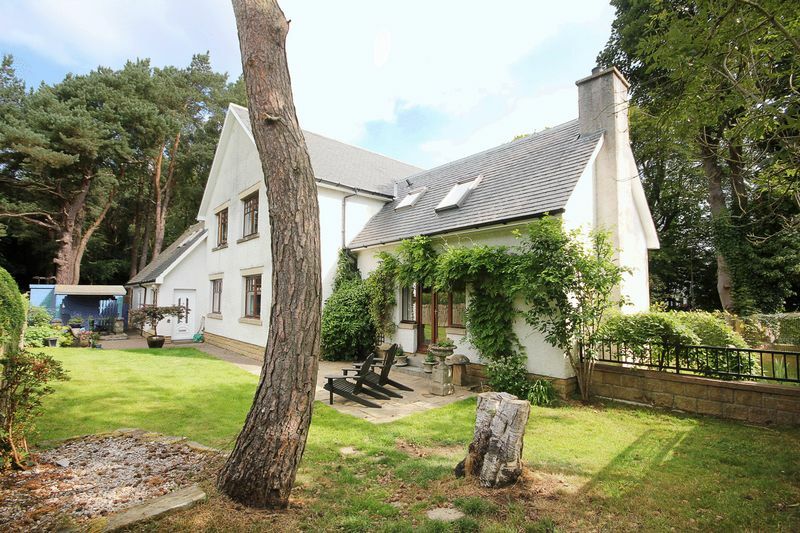 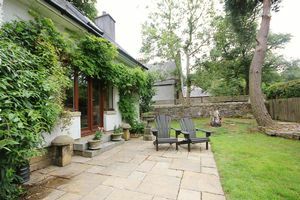 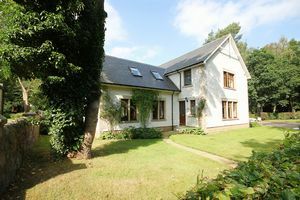 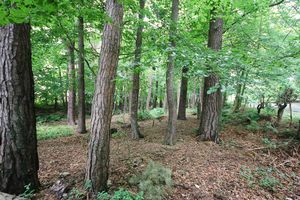 The property also has gardens to the front, side and rear with private woodland running parallel to the road, double garage and driveway. 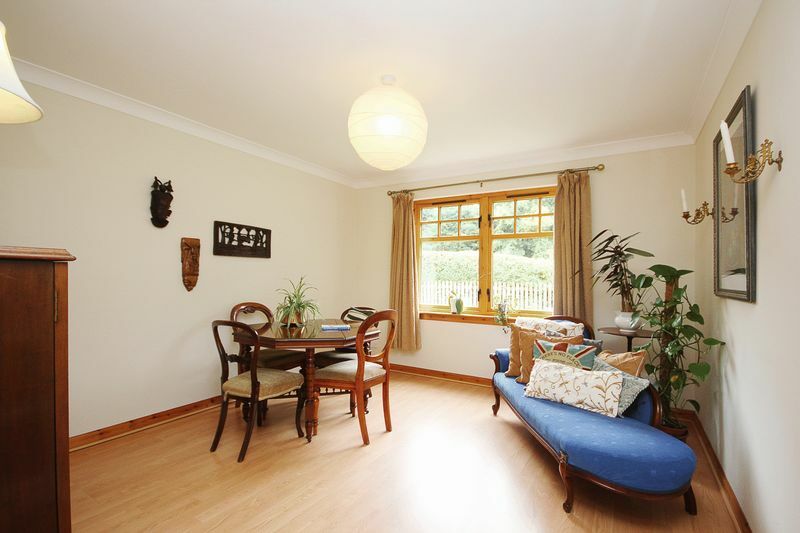 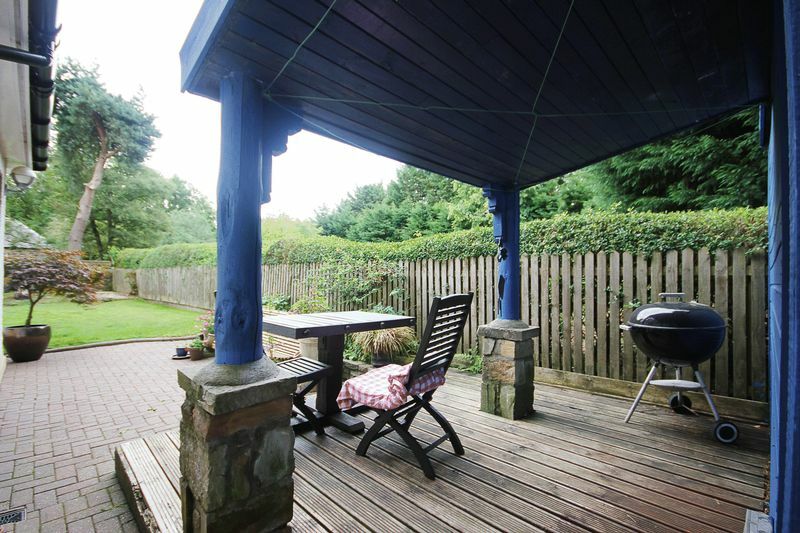 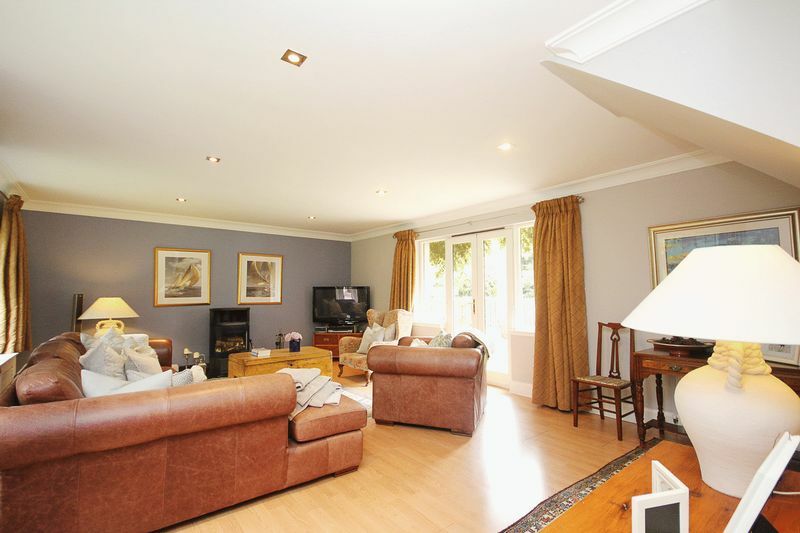 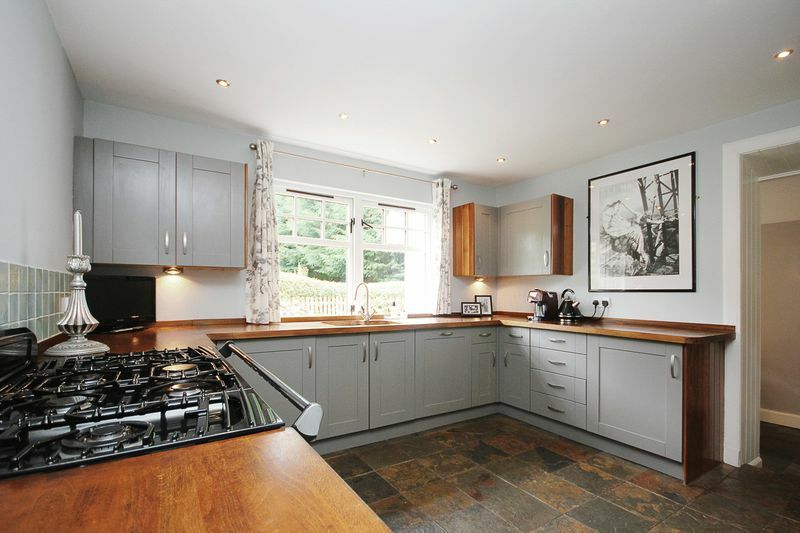 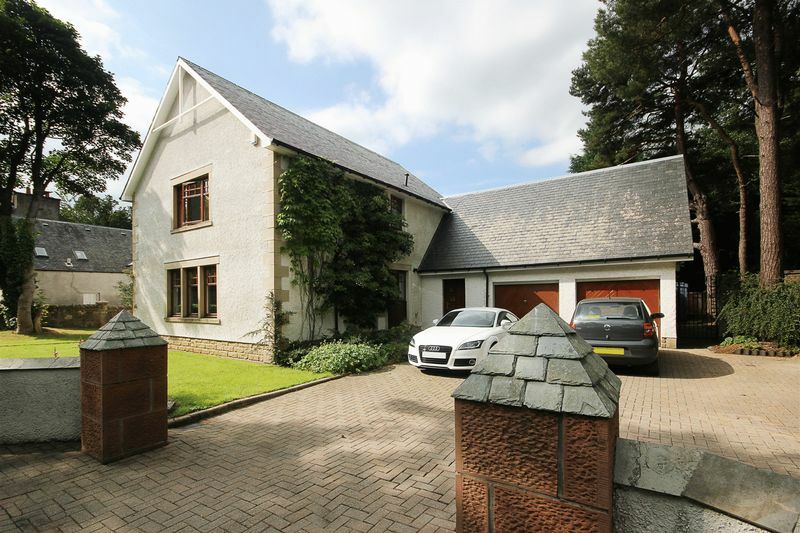 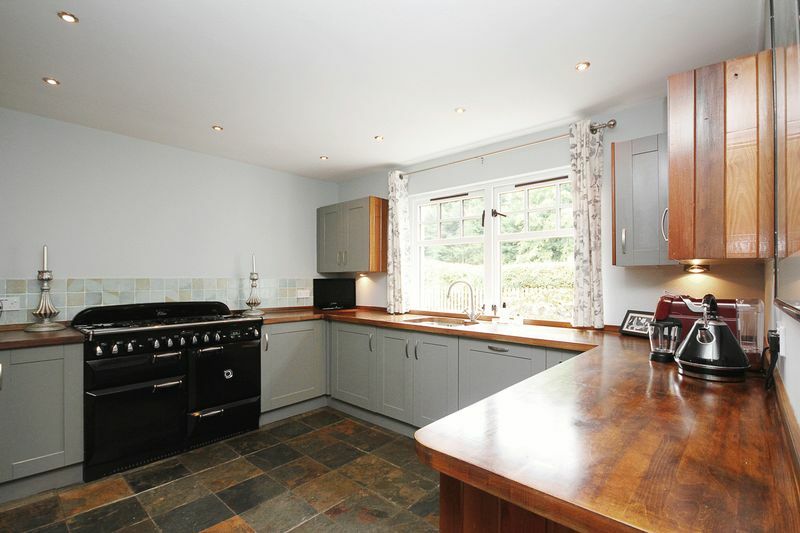 Newpark Road is an incredibly sought after residential area of Bellsquarry. It is also close to local amenities and is well served by bus services. 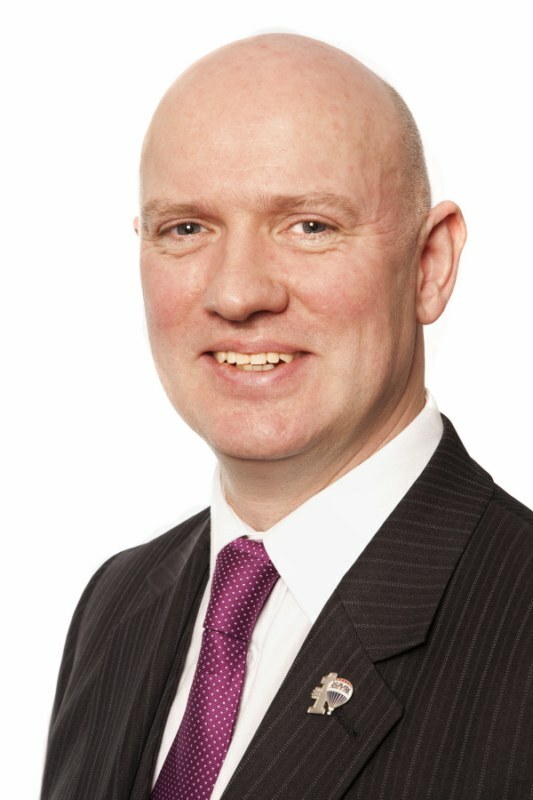 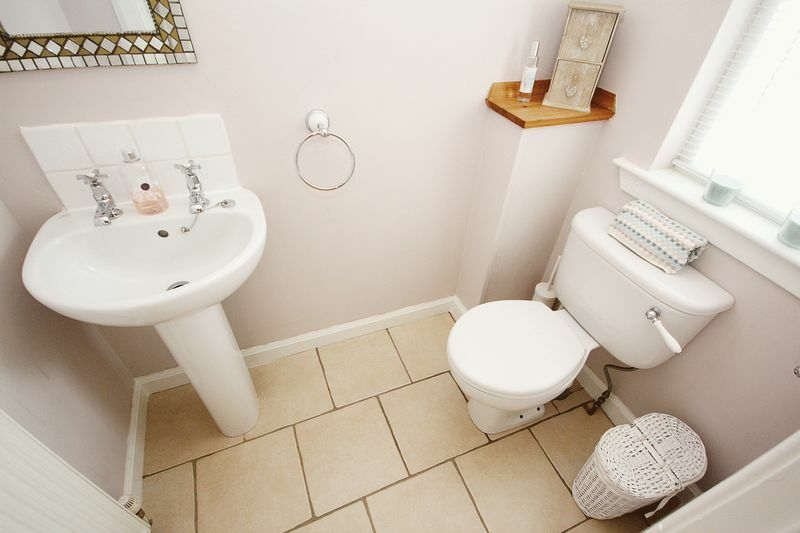 It is in catchment for the highly regarded Bellsquarry Primary School and James Young High School. 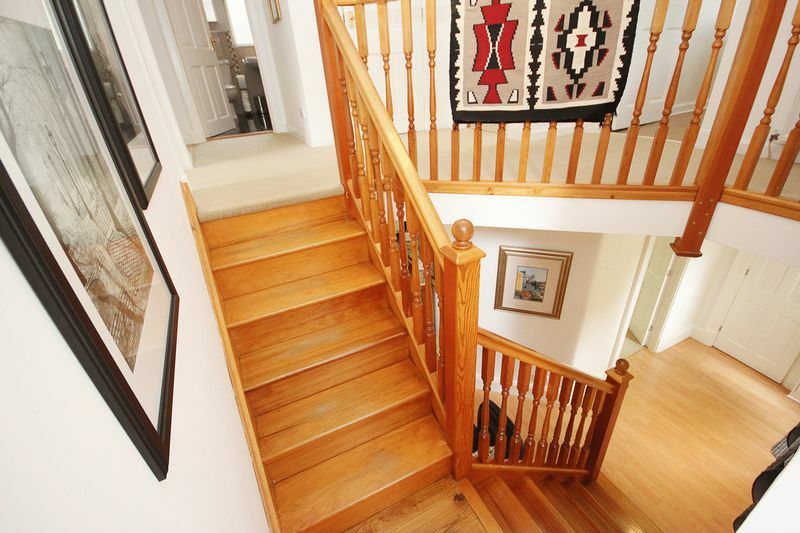 Entering the property via a wooden door, you are welcomed into the hallway. 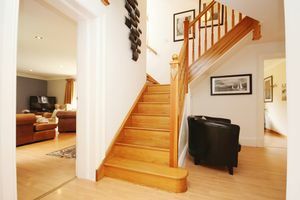 From here you gain access to the lounge, dining room, living room, kitchen, utility room W/C and a stairwell leading to the upper level. 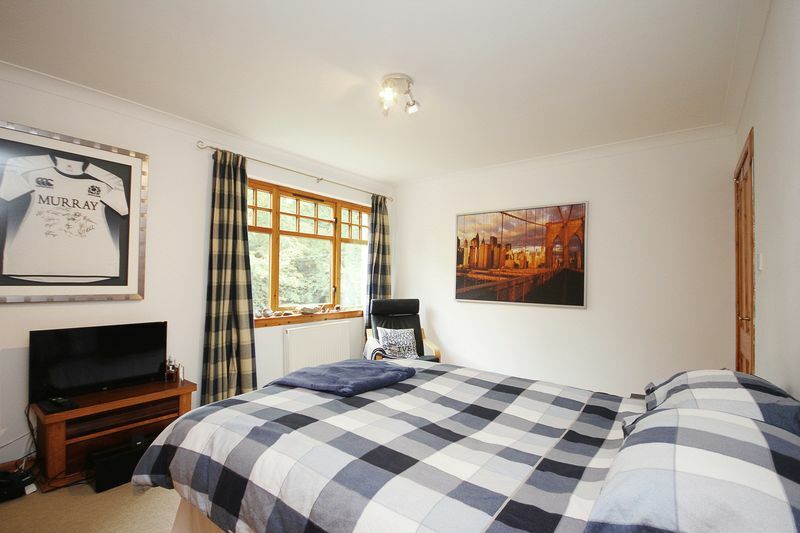 The room has down lighters, wood laminate flooring, a radiator and a window to the side of the property. 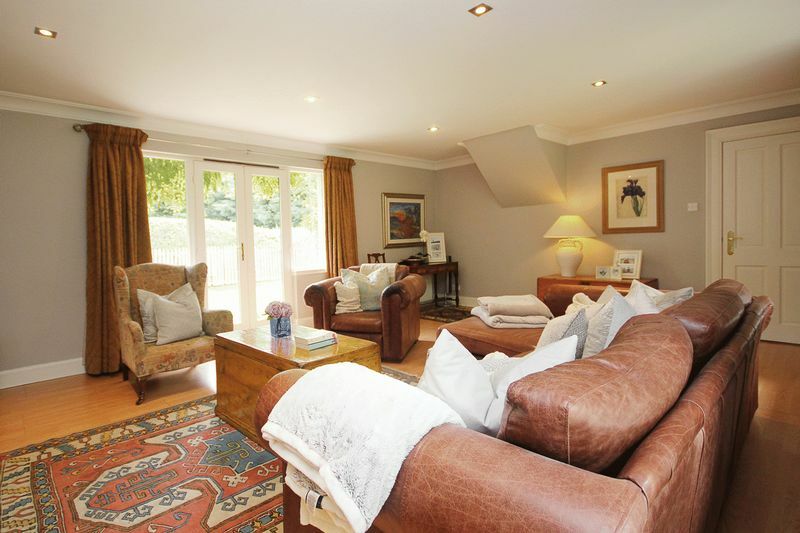 With two large windows to the front and French doors to the rear of the property, the lounge is bright and spacious. Down lighters, wood laminate flooring, a decorative wood burner and a radiator. 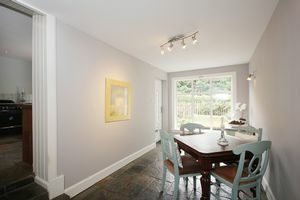 This second living space has a window to the front of the property. There are two light fittings, a carpeted floor and a radiator. With space for a large table, the dining room has a window to the rear of the property, a central light fitting, radiator and wood laminate flooring. 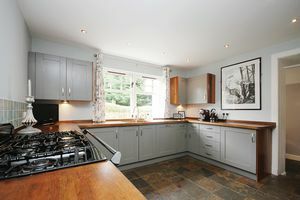 With a window to the rear of the property, the kitchen comprises of modern wall and base units with complimentary worktops, a stainless-steel double sink with mixer tap and in-set drainer. It is lit using down lighters, stone tiled floor, a radiator and access to the breakfasting room. With a window to the rear of the property and doors leading to the front and rear, the breakfasting room has spotlights as well as wall mounted lighting, stone tiled flooring and a radiator. 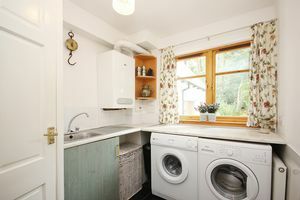 With a window to the side of the property, the utility room consists of floor units with complimentary worktops, splash back tiles at the sink, a stainless-steel sink with mixer tap and a large storage cupboard. 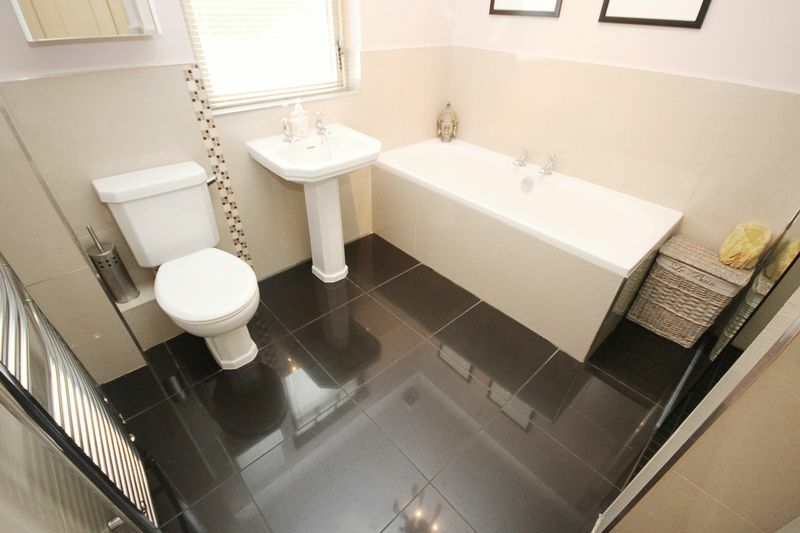 There is a central light fitting, tiled flooring and a radiator. Comprising of a white w/c and sink with splash back tiling and extractor fan. 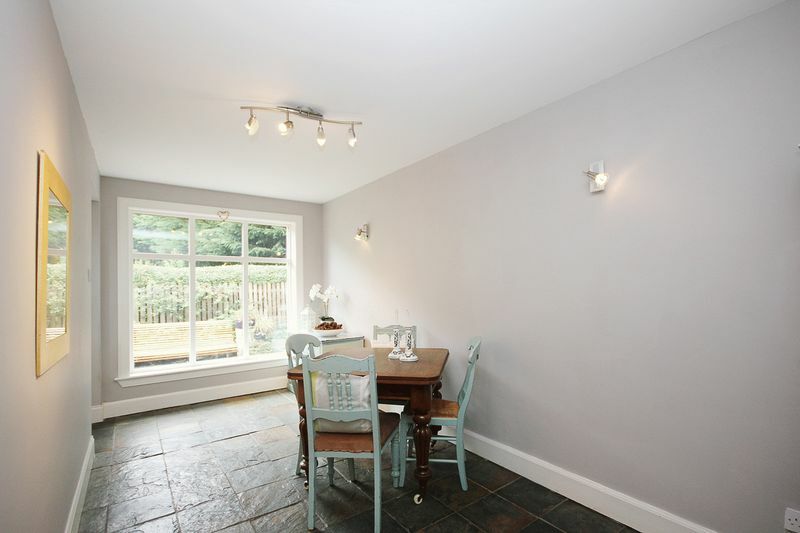 A central light fitting, tiled flooring, radiator and an opaque window to the side of the property. 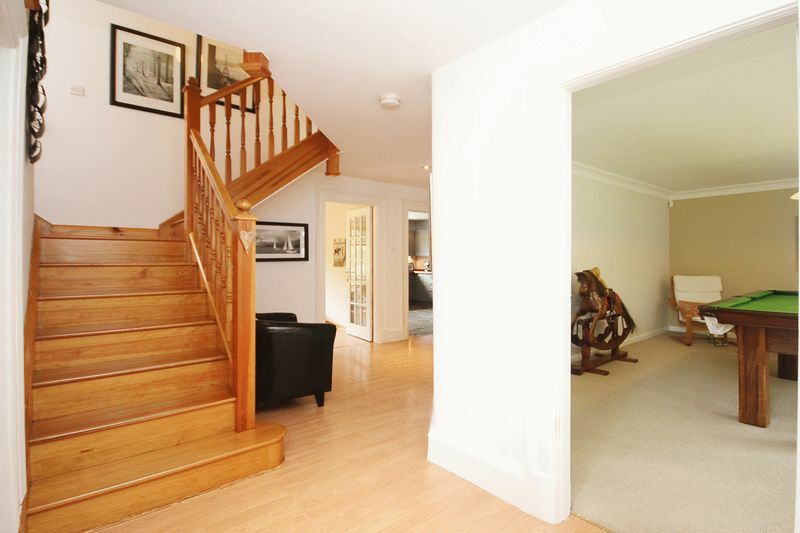 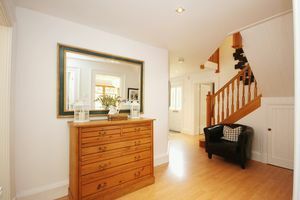 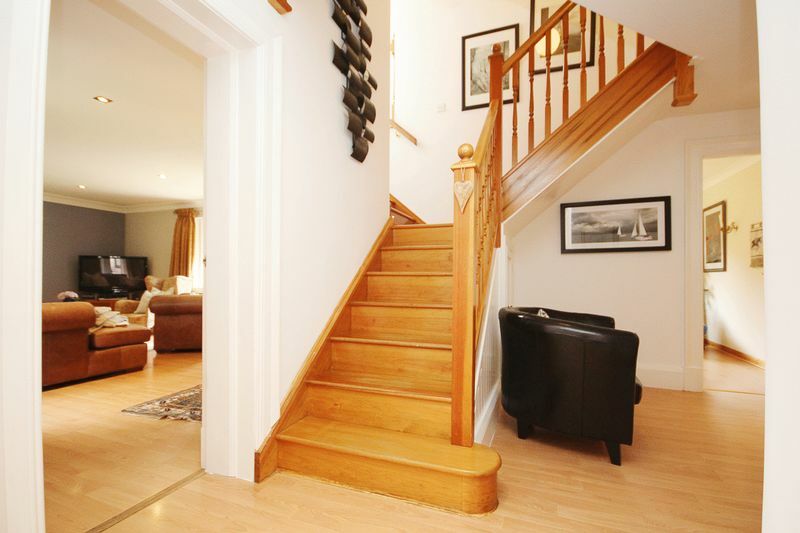 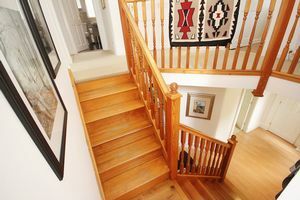 Rising the wooden split staircase to the upper landing, the hall gives access to all bedrooms and the family bathroom. 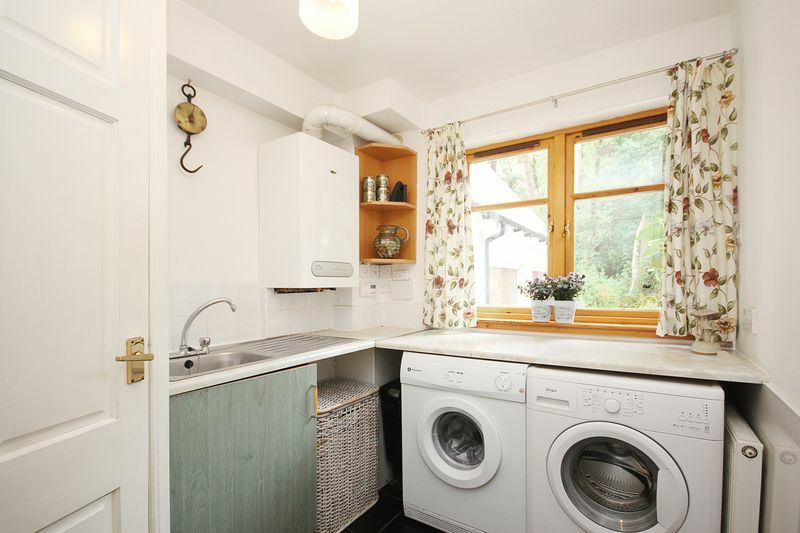 Fitted with a central light, carpeted flooring, a large storage cupboard and a radiator. 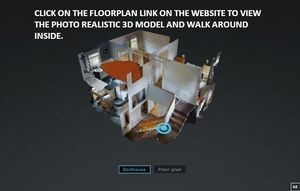 You can also gain access to the floored and wired loft via a ceiling hatch. 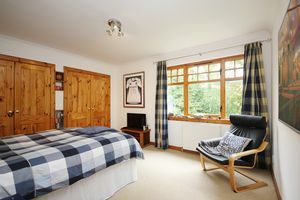 Entering the master bedroom suite through a small, windowed vestibule, you have two Velux windows to the rear of the property and another large window to the side. 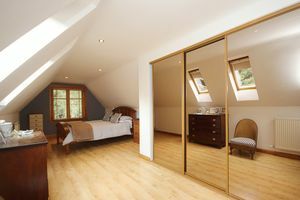 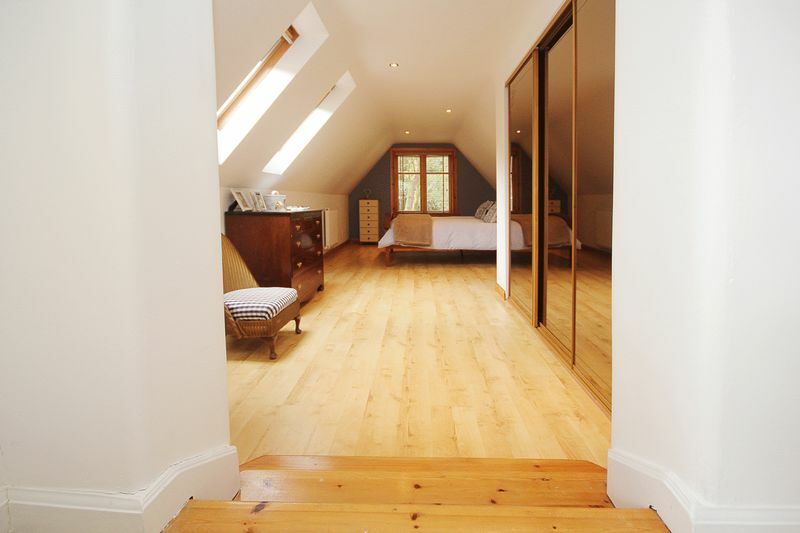 This room benefits from large built-in wardrobes with mirrored sliding doors. 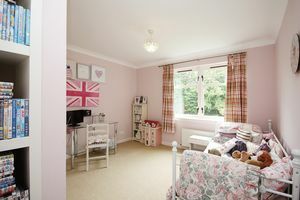 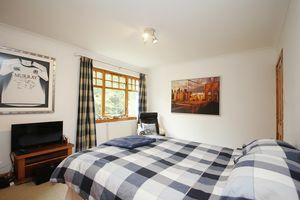 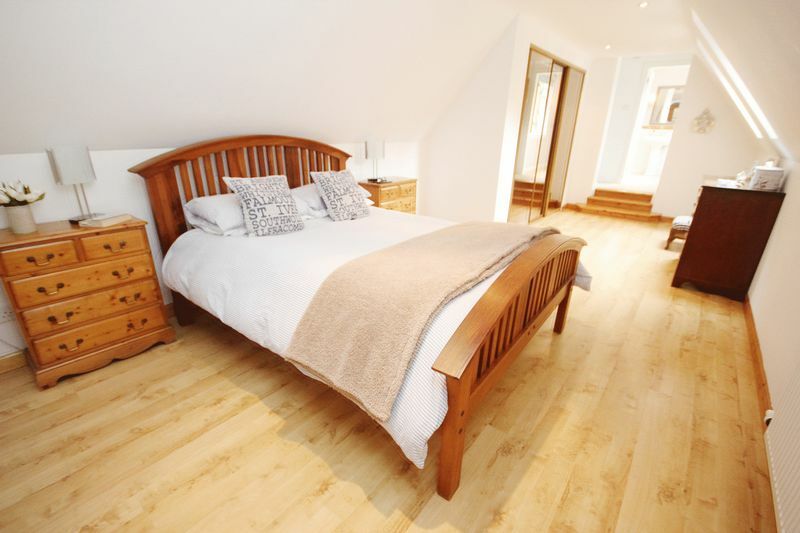 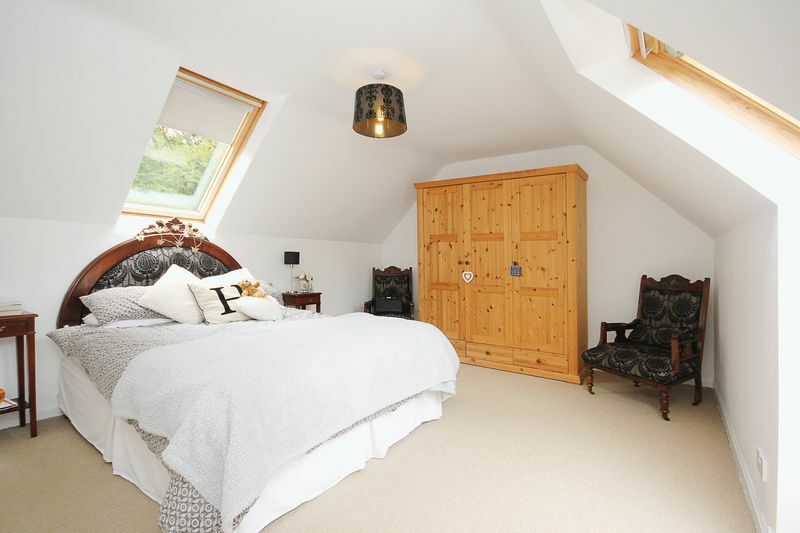 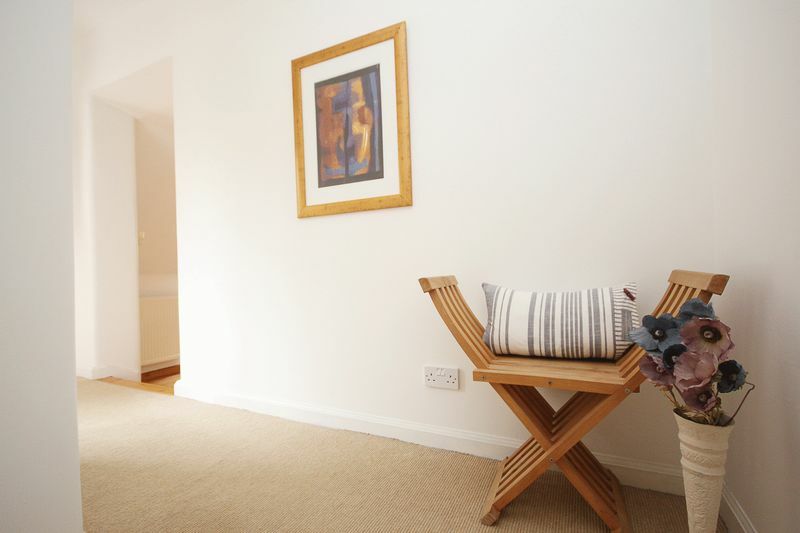 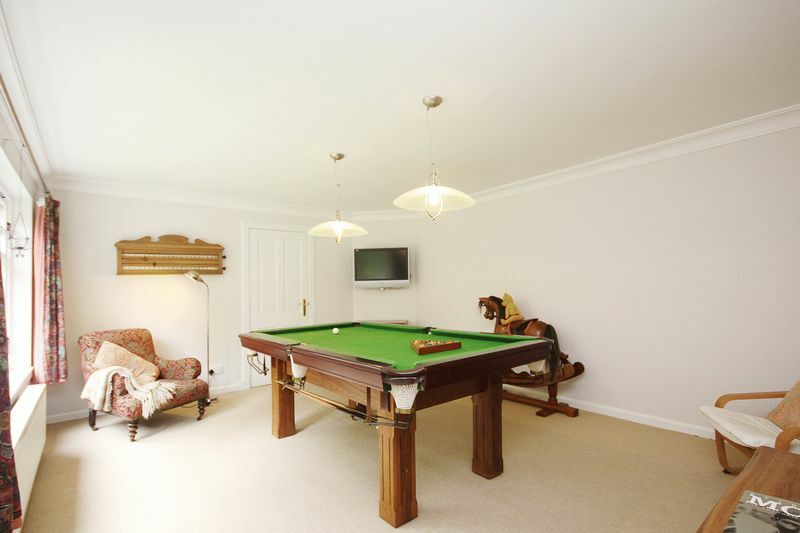 The room is fitted with relaxing down lighters, wood laminate flooring and a radiator. With an opaque window to the rear of the property, the bright en-suite comprises of a white w/c, sink, bidet and a glass shower cubicle with electric shower. Down lighters as well as wall mounted lights, is partially tiled, has a wall mounted cabinet, fully tiled flooring and a decorative wall mounted towel radiator. 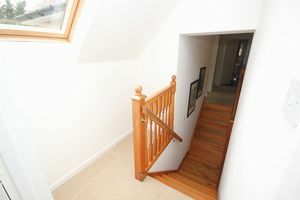 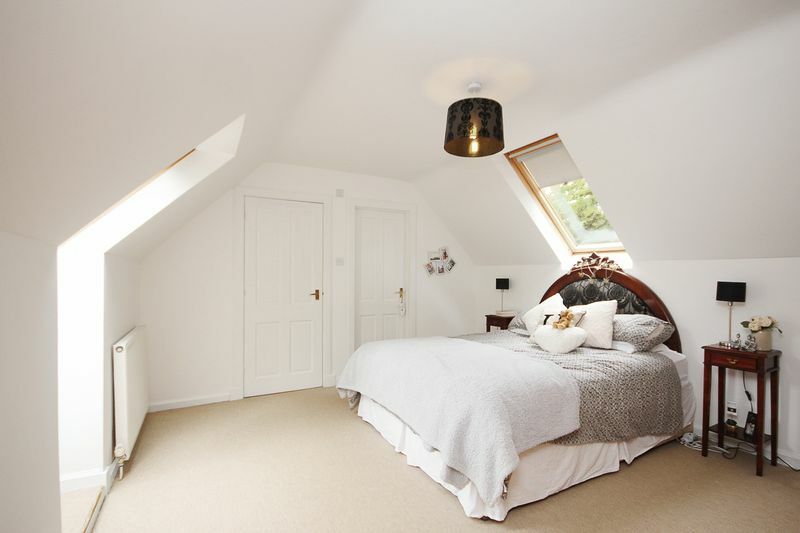 Accessed via its own branch off the stairwell, this second master bedroom has Velux windows to the front and rear of the property. 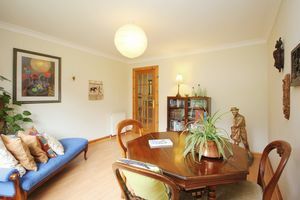 It is warm and light with a central light fitting, carpeted floor and a radiator. 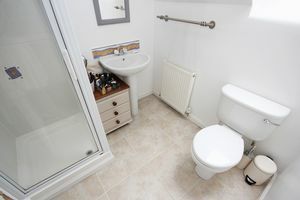 The second en-suite is accessed via this room. 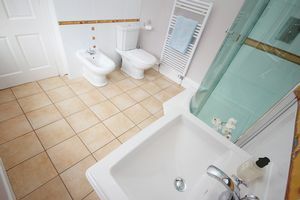 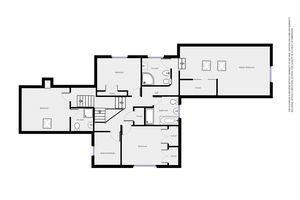 With a Velux window to the front of the property, the second en-suite comprises of a white w/c, sink with mixer tap and a glass shower cubicle with electric shower. Down lighters, tiled flooring and radiator. With a window to the front of the property. There are two large built-in wardrobes for storage, central spotlights, carpeted flooring and radiator. With a window to the rear of the property, this second large double bedroom has a central ceiling light, a large built-in wardrobe, carpeted flooring and a radiator. 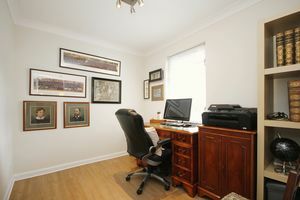 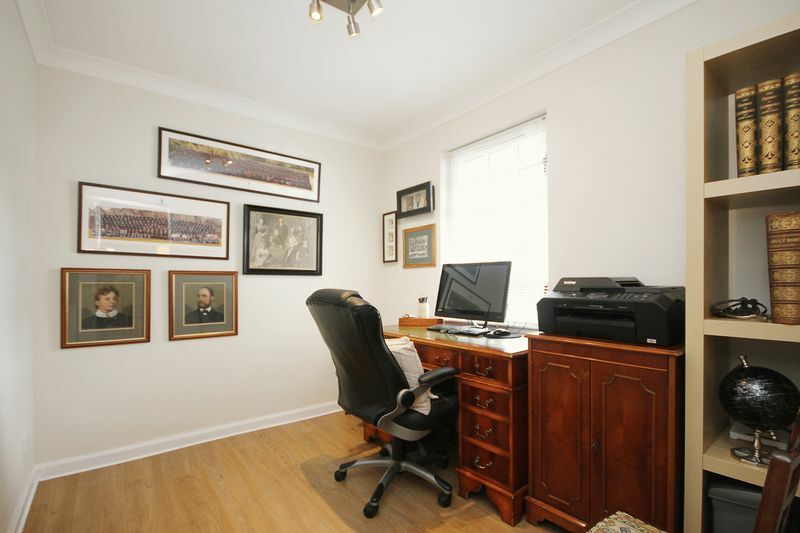 With a window to the side of the property, the fifth bedroom makes a great study space. Spotlights, wood laminate flooring and a radiator. 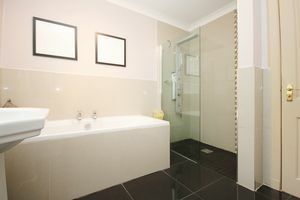 With an opaque window to the side of the property and spotlights, the family bathroom consists of a white suite with w/c, sink, bath and walk-in shower with all over body jets and waterfall shower head. This room has partially tiled walls, tiled flooring, a wall mounted cabinet and a decorative chrome towel radiator. 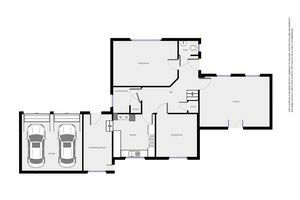 The double garage has power and light and provides an abundance of extra storage space. 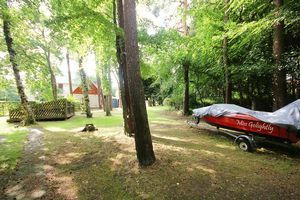 Mostly laid to lawn with a beech hedge perimeter, mature trees and shrubs. 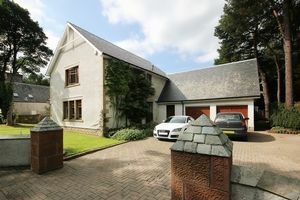 The property also benefits from a walled entrance to the monobloc driveway which leads up to the double garage. There is a stone slabbed “stepping stone” path over the grass to the main front door. 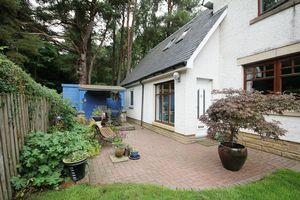 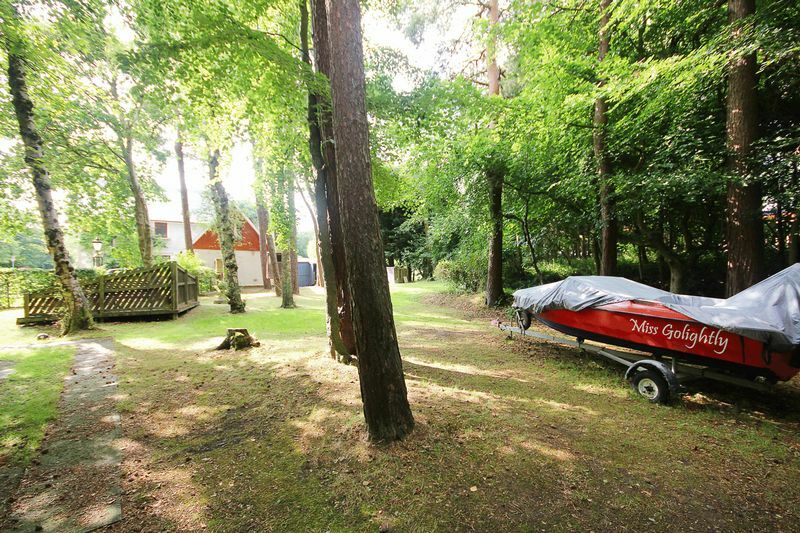 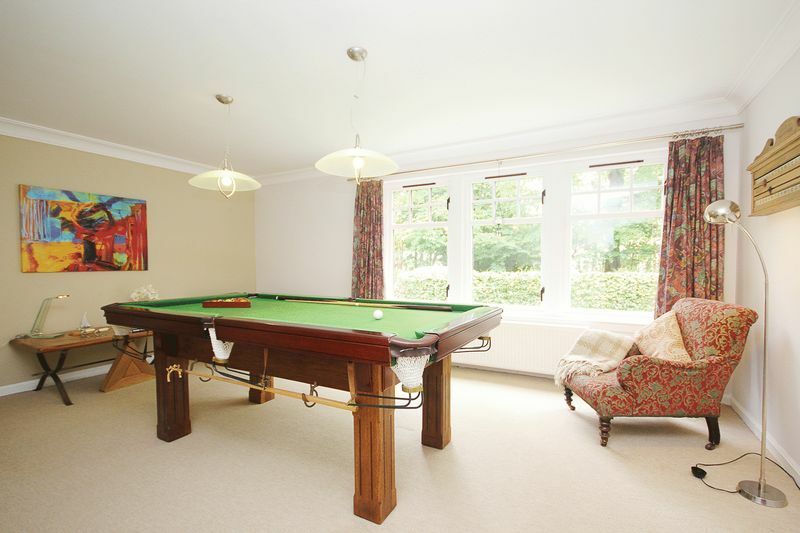 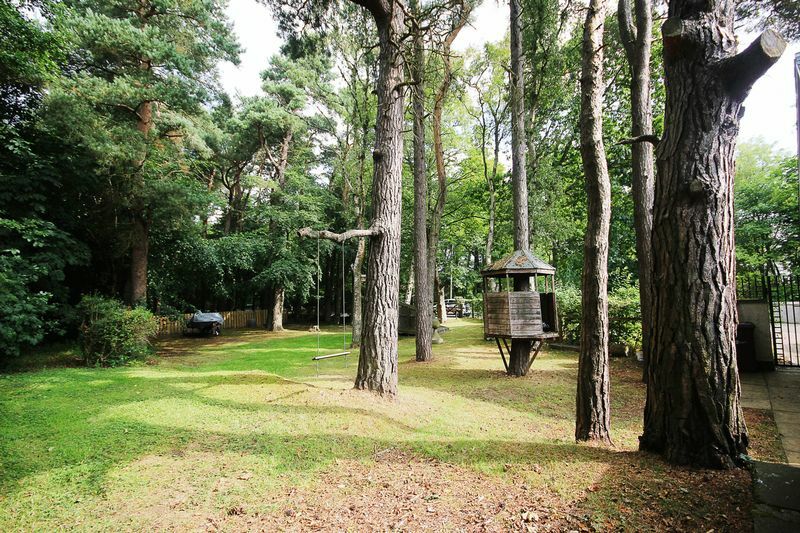 A large landscaped wooded area easily accessed via the rear gardens as well as the main road. It has a fenced perimeter with a mixed wood hedge and gate to allow vehicle access. 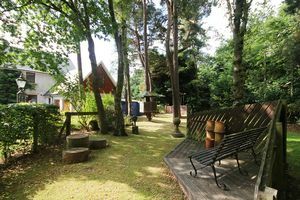 A large decked area provides an amazing seating area to enjoy your garden and a sheltered tree deck and swing bring a little fun. 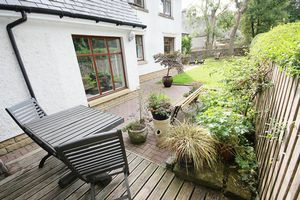 Mostly laid to lawn with a mixed wood hedging and stone wall perimeter. A monobloc patio area is ideal for sitting and a garden hut with decked porch provides ample storage and shelter. Between the side gardens perimeter fence and the next property is a sizeable strip of natural woodland that also belongs with this property.